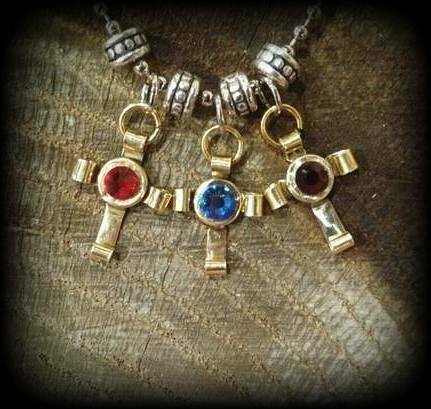 Birthstone crosses are made from a.22 bullet casing. $16.99 for chain and one cross. $5.00 for each additional cross.